This story makes me think of this song… so play it while you read! If you’re not a cyclist, also take a second to look at…. THIS! I punched a car tonight. I don’t get to do this often, and when I do it generally puts me in a quite good mood. You see – I was biking, and I got cut off. This isn’t really a unique occurance, but this is one situation that frustrates me to excess – it’s simply a driver making a mistake and not looking where they’re going… but it’s indicative that drivers don’t even think to check for cyclists before turning. 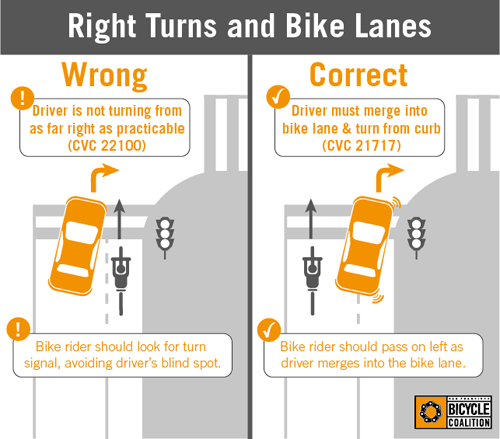 I was biking in the bike lane, and the car directly to my left decided to make a right turn. Fine, in most situations. But not when there’s a bike that you have to drive THROUGH in order to turn. So I cranked the brakes, did a bit of a dodge, and gave her side-panel a good left jab. Couldn’t get a full swing in, unfortunately, but the impact made enough of a noise that the driver knew that something wasn’t right. Then she looked back, and saw a cyclist. Then, her face dropped. In mass, hitting a cyclist is a bad thing. I mean… it’s always a bad thing, but here the law is on our side. Example: if you door a cyclist? Not only can the cyclist bring a civil lawsuit against you, but you are also going to be charged with criminal assault, just the same as if you’d smashed a pedestrian with your door. So this driver knew she had done something wrong. But she was frozen to the wheel, looking forward and trying to not look at me. So I did a bit of a “come on now…” hand gesture, indicating she should roll the window down. She did, and we had a short conversation that basically amounted to “Don’t cut me off!” “Sorry! I didn’t see you!” “Obviously! Just be more careful next time”. And then we went our separate ways.